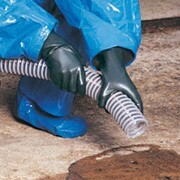 Our famous Jobmaster boots are considered to Protection be the industry standard. Made from injected PVC specially formulated for the correct work application, they are reinforced at the heel, ankle, and shin for extra protection. Linings are of washable natural cotton. Jobmaster soles are oil, acid, and abrasion resistant. The tyre tread sole design allows for improved liquid dispersal and improved slip resistance, whilst the Tunnel System reduces heel shock and wearer fatigue. 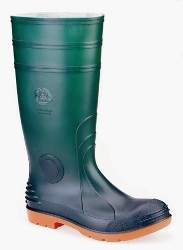 Jobmaster gumboots feature a full comfort insole and offer great comfort for even the longest of work shifts.